Lester Joseph is the Manager of the Global Financial Crimes Intelligence Group at Wells Fargo & Company. The primary mission of this Group is to provide intelligence on money laundering activity and financial crime trends to all parts of the company. 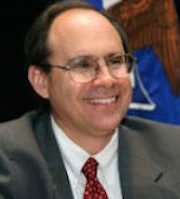 Les joined Wells Fargo in 2010 as the International Investigations Manager, where his team’s primary mission was to identify, investigate, report, and trend suspicious activity conducted through the bank’s foreign correspondent customer accounts.Prior to joining Wells Fargo, Les worked for the U.S. Department of Justice as the Principal Deputy Chief of the Asset Forfeiture and Money Laundering Section.